the laptop i use at home is an apple MacBook i bought when i was still at school. on my commute i listen to my music from an iPod mini. i use these products every day and despite them both being over a decade old they’re still going strong. i’ve mentioned before that the mini is my favourite apple design and its a great little music companion. the MacBook is looking a little tired now but it can still surf the web and run photoshop. i’ve looked after them both because im a big fan of products that are well made, designed to last and to be enjoyed. i’ve never felt the serious need to replace them for the latest model. these products are not only very important to me but also for apple. when they were released in 2005/2006 they were some of the last apple products you could easily repair and upgrade yourself. they have a certain tactility and crudeness in their assembly that meant it was easy to crack open and switch out the battery or internal memory. the MacBook is apple’s entry-level laptop with a relatively low specs and price targeted at consumer and education markets. deliberately underpowered, it isn’t capable of playing games or heavy video editing but it has everything you need to get online, write a blog, organise photos and watch films on the go. i picked up this MacBook when i was at school as part of an engineering scholarship prize. it was great for small projects back then but it doesn’t handle todays requirements so well. when you watch a video it fires up like a jet engine and there’s the occaisional 20 second freeze as it dumps from one memory load to another. i’ve had to completely strip it out of junk on more than one occasion but it’s served me well. it’s also still a nice looking piece of kit. at launch you had the option of lower powered version in glossy white or a more ‘premium’ version in matte black (an odd colour choice that was only reintroduced with the new MacBook). the plastic case has warped and burst at part lines so you can see why apple moved onto an aluminium unibody construction in subsequent models. but overall its a smartly presented, minimal laptop. the most effective upgrade i made straight away is upgrading the hard disk drive to a solid state drive (SSD). an SSD is a drive based on flash storage with no moving parts. performance and power efficiency jumps up significantly when you run a computer from an SSD and the MacBook now boots in under 20 seconds, switches between apps lightning quick and generally runs like stink. to finish off i replaced the battery with a higher capacity third party one from eBay. in the past 10 years, web browsing has become more resource heavy so battery life is now pretty poor at about 1.5 hours. but this isn’t really a problem as power used to cut out completely when the charger cable came out. its better than nothing, the MacBook is no longer portable due to its size of weight so its restricted to being useful plugged in at my desk and in the living room. for about £80 i’ve breathed new life into this mac. it can handle HD video streaming, music streaming, photoshop, iTunes and meets my browsing and blogging needs. i wasn’t expecting it to blow me away when i booted it up again but it performs surprisingly well for something a decade behind the times. this is one of my favourite designs by apple because of it’s playfulness, simplicity and tactility. it came in a striking range of anodised aluminium cases that contrasted with the original black and white iPod interface and its just the right size and shape to hold in your hand. i bought this iPod at a car boot sale for a tenner and it was in great condition with no scratches or dinks. the battery however, was completely shot and would only last 45 minutes of my daily commute. luckily, this is a simple fix and as i was looking into battery replacements i found it was just as easy to upgrade the memory. 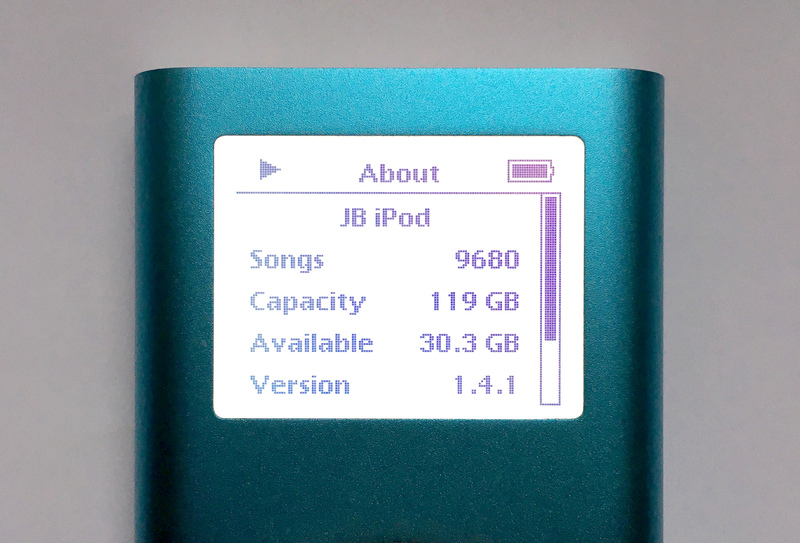 although it was designed to go after cheap flash players the the iPod mini actually used a scaled down version of a hard disk drive called a microdrive in 4GB and 8GB capacities. because these are mechanically driven they are likely to fail after years of knocking around in your pocket. the microdrive interface is the same as a compactflash card so you can simply swap these two around and get the benefits of solid state memory. in recent years compactflash use has dropped in popularity in favour for smaller, cheaper and higher capacity SD cards. this isn’t a problem however, all you need to do is grab an SD card and use a compact flash adapter and it’ll work just the same. the highest capacity SD card on the market is 512GB. i’ve gone for a cheaper alternative and fitted in a 128GB card. there’s some neat details to this product once you crack open the case with a razor blade. the logic board itself is quite simple and the screen, click wheel, hard drive and battery can be plugged in and out for repair. the real beauty of this product is the case. the components tuck into the board and the whole thing slides in and out on grooves in the aluminium extrusion. it’s a beautifully designed piece. i carefully swapped in the new flash adapter and plugged in a new higher capacity battery from eBay. once this is rebooted and reformatted through iTunes it’s good to go. now look at it. i can get my entire music collection on the go with plenty to spare. as this is now a solid state drive it should run more energy efficient. 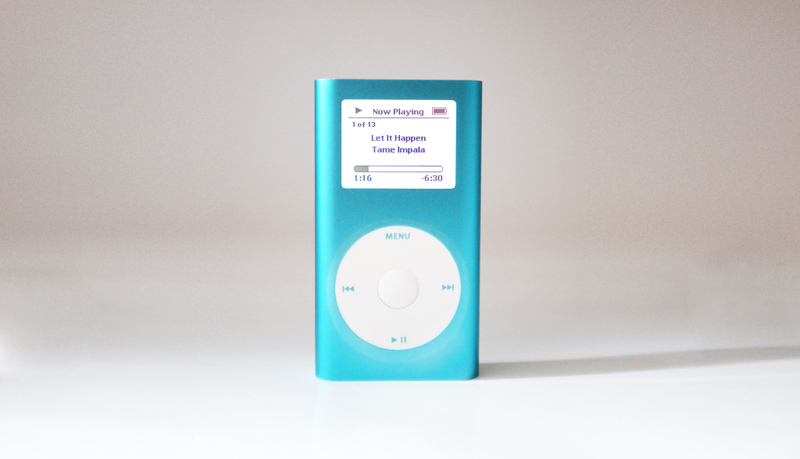 i use this iPod mini for my commutes to work and when i travel up and down the country – i can get around 2 weeks of normal playback before i need to charge it. as more efforts are made by apple and others to try and steer me into music streaming i use this iPod as a distraction-free, notification-free, ad-free, reliable music companion for my travels. it cost around £35 for a new card and adapter and it’s proven to be a great upgrade. why cling onto tech that is so obviously not up with the times? 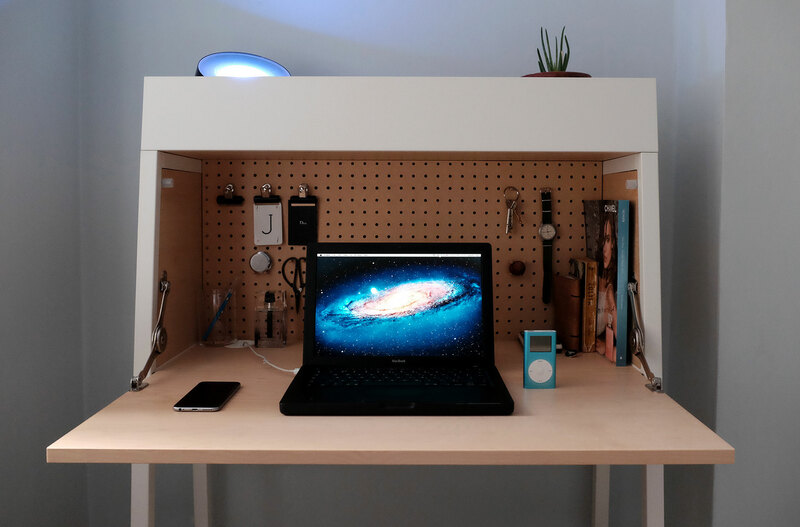 my MacBook and iPod are well-designed products that operate within my needs. they mean something to me and i repaired and upgraded them to squeeze out a few more years of use. ill be using them tomorrow and day after that. maybe one day i’ll get to a point where i simply have to replace it but at least i’ve saved money, saved the environment and i’ve personally connected with these products. this is sustainability through longevity. don’t condemn your old tech to the back of a drawer to be forgotten about just for the sake of it. there’s probably still life in it with a bit of tinkering.